Wish You Were Then Vintage: Giveaway Winner! Congratulations to Erin of eef-ink.com! She commented that her favorite item was the Margaret Smith 1970's Floral Handbag. 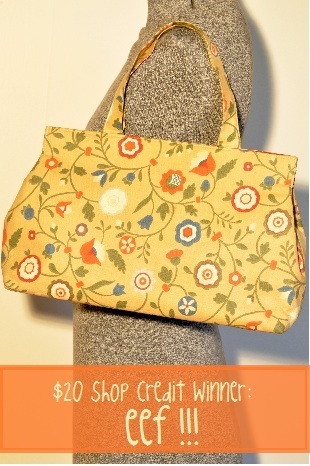 Erin can use the $20 shop credit toward the bag or any item in the shop! Thank you to all who have entered and left me messages here on on Etsy. I really appreciate them. I'll be adding more items to the shop next week, make sure to stop by and say hi!